More and more people are turning to solar panels in an attempt to be more eco-friendly, sustainable, and cost-efficient. However, having solar panels installed is only part of the process. You then need to embark on solar panel maintenance. A trained engineer will assess the performance of your panels, and test the DC circuits, AC electricity system, and switches, ensuring everything is working correctly. 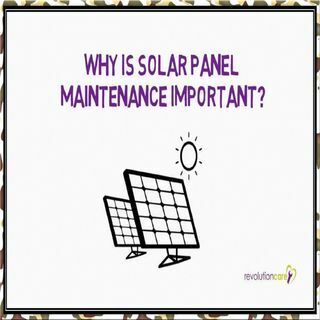 There are a number of different reasons why this solar panel maintenance is a ... See More must. Firstly, you will be able to identify problems early. This can save you a lot of hassle and huge sums of money, as you can rectify any damage before it gets worse. You can also increase efficiency if you maintain your energy system. If your solar panels are not cleaned on a regular basis, their efficiency can fall by as much as 20 per cent. Finally, professional solar panel maintenance can ensure safety too. From electrical component tests to crack and defect inspection, the professionals you hire will make sure there is nothing compromising the safety and effectiveness of your system. You should never take the risk – make sure you maintain your solar panels!